आखिर के हो मेरो पहिचान ? के हो मेरो पहिचान ? अंतर्राष्ट्रीय महिला दिवस अबसर मा सम्पूर्ण आमा,दिदी,बहिनी हरु लाई म अनिता यादव को तर्फ़ बाट धैरै धैरै शुभकामना. जीतको राजनीति गर्ने हरु एक पल्ट हारेर त हेर्नुहोस कतै तपाईं एक जना को हार मा देश को जित , सुख, सम्रिधि लुकेको छ कि ? क्रीसमस को उपल्क्षयमा हार्दिक शुभकामना व्यक्त गर्दछु !! If we dare, we can make a real difference. Please log in to subscribe to yadavanu's postings. For more video please click the link below. Please log in to subscribe to atomic's postings. Please log in to subscribe to seeker77's postings. You sound like a neta ko chhoro. Can you name a single thing that common people got in Nepal after political changes (Guntantra and all)? You must be someone who got the taste of "Prajatantra or Ganatantra." Only those people can brag about Prajatantra/ Ganatantra. Janata ko chhora is over-rated. Can janata ko chhoro like you and I become PM or President? In theory, yes. Practically? No. Ranas were also janata ko chhoro, see what happened to Nepal. Please log in to subscribe to KhooChheeng's postings. KhooChheeng agrees to seeker77's thoughts to a large extent and appreciates all thoughts. खूचींग to the dim lamp! Khoochheeng does like to curse the darkness. Also Khoocheeng appreciates the dim oil lamp into the vast darkness even though the light is dim and not sufficient. KhooChheeing's small mind recalls the constant dim light sincerely working for Nepal despite the unfavorable opportunist currents and movements. खूचींग खूचींग खूचींग to the dim lamp! Please log in to subscribe to lamjung's postings. फर्केपछि घरभाडा नतिरेर फेरी सरकारले बागडोलकै घरमा गएर बस नभनोस भन्ने कामना सहित! कसैले अनिताजी लाई यहाँ नेपाली रेस्टुराँमा म:म खाँदै गरेको भेटाउनु भएमा फोटो सहित पोस्ट गरि अपडेट गरिदिनु होला । घन्टा जस्तो डेरा को कुरा हाम्ले सुन्नु पर्ने , कहिले उपचार खर्च पाएन भन्दै कुरा सुन्नु पर्ने ! खाई न पाई को रास्ट्रपति भा थियो, ७ बर्स पछि फुस्सा संबिधान दियो, अब त्यो नि भएन भन्दै छ । लुटको धन फुपूको श्राद्ध !!! कता तिर को क्यान्सर अस्पताल लागे ? हैन अमेरिका स्थित कुन राज्यको कुन अस्पताल छिराए ? हो ब्रो पसुपतिको यात्रा सिद्रा को ब्यापार हुन्छ की भन्ने सोच जाग्यो ! "Dr. Yadav who remained president of the country for seven years had been granted Rs three million some five years ago for diagnostic test of cancer in Tokyo." वाह : हाम्रा नेता धेरै खर्चिला भए | प्रचण्डले ३०० मिलियन डलर हात पारे पनि एस्लाई उपचार गर्नु पर्ने अबस्था आए नेपाल सरकारको ढिकुटि बाटै जाला ? कहिले काँही त यसो सोच्छु 🤔 नेता हरू लाई एड्स नै लागे के होला त ? हराउनु भो नि अनीता जी, शुभकामना छ है बिजया दशमीको !! Any update? Are they back to Nepal or still enjoying the free TA and DA? If they are here I am planning to drive. Imran Khan said "On one hand we don't have money to spend on our people; on the other hand, we have a section of our people living like our colonial masters used to live,". Pakistan Prime Minister Imran Khan yesterday said he will not be staying in the sprawling Prime Minister House but in the military secretary's three-bedroom house. 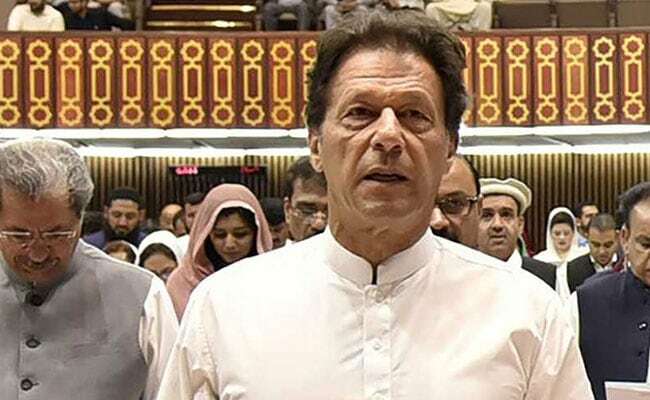 Mr Khan, announcing austerity measures to cut down his own as well as the country's expenditure during his maiden address to the nation, said that he wanted to live in his own house in Banigala "but was told by security agencies that my life was under threat which is why I am living here". He said that the prime minister house has 524 servants and 80 cars. "The prime minister, which is me, also has 33 bulletproof cars. We have helicopters and aeroplanes to fly us. We have massive governor houses and every conceivable luxury. "On one hand we don't have money to spend on our people; on the other hand, we have a section of our people living like our colonial masters used to live," he said. "Look at how we live. Look at how much money is spent by prime ministers on foreign tours? Where do these people spend Rs. 650 million? Where does the speaker spend the Rs.160 million budget allotted to him? Are they going abroad to conquer land?" Mr Khan said. Detailing plans on how he will cut down his own as well the country's expenditure, he said "I will keep two people with me out of the 524. I will be staying in a three-bedroom house. I will have to keep two of the cars because my intelligence agencies tell me my life is under threat. I wish I did not have to move out of Banigala, but I have been forced to do so." Mr Khan said his government would auction off all the other bullet proof cars and invited businesses to come and buy them. "We will put the proceeds of that auction in the state treasury," he added. He said I wish that all the governor houses are kept as simply as possible. Mr Khan said that he wished that the PM House be turned into a research university. "I am forming a committee under Dr Ishrat Husain to figure out how to cut expenses nationwide. I also want you to understand that the money we lavish on ourselves could have been spent on those who our state has left behind. Naya Pakistan also requires a new soch. We have to think about those who we have left behind," he said.